Iran-HRM – Security forces arrested three Ahwazi Arabs on Wednesday, taking them to an unknown location. The state security forces arrested Sahab Siahi and Ahmad Siahi on Wednesday, February 6, 2019. On the same day security forces arrested Nabi Saedi, a young Ahwazi poet and critic of the regime’s economic policies. All the three from the town of Hamidieh, in Iran’s southwestern Khuzestan province. The authorities have not since given his family any information about his whereabouts and legal status. Local sources said that the three were arrested for assisting families affected by a recent flooding in the region. The Iranian authorities have waged a sweeping crackdown against the Ahwazi Arab ethnic minority, arresting hundreds of people in Khuzestan since October 2018. 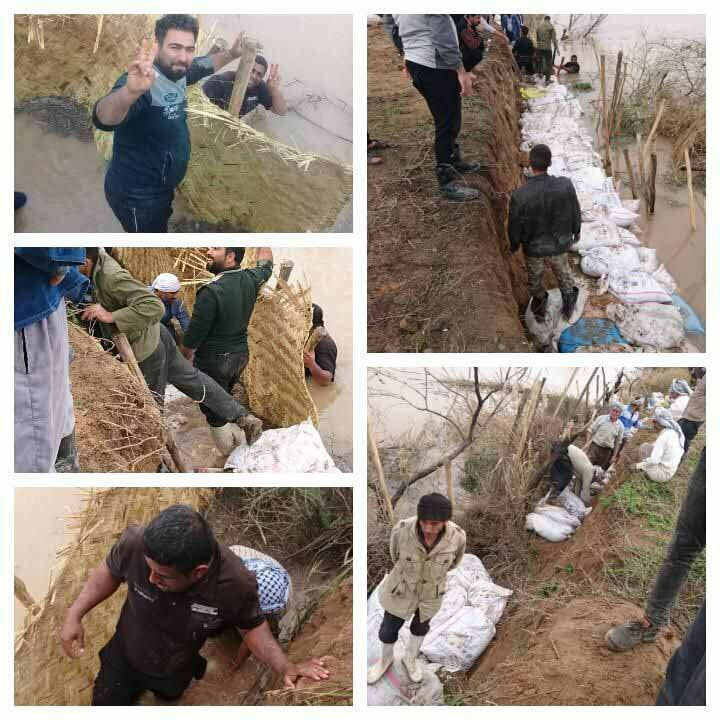 Heavy rainfalls in northern and eastern parts of the province of Khuzestan, southwestern Iran, have led to devastating flood hitting the region over the past few days leading to evacuation of 35 villages. Worn out infrastructure could not prevent the floods from reaching the cities and villages in the region. The disaster has caused much distress for the people of the region and forced many people to evacuate their homes. Regime officials and government bodies have done next to nothing to prevent or to mitigate the situation, triggering protests by the inhabitants of the struck villages. Without government support, the people of Khuzestan have proceeded to doing whatever they can to protect their homes and create flood dams. According to reports, at least 20 provinces have been hit by floods, rainstorms, snowstorms and blizzards. The situation is reported very dire for the people of the southwestern Khuzestan province. Roads in Susangerd village have been submerged under water and only trucks can pass. The villages surrounding Shush, Dezful, Dasht-e Azadegan and Shushtar in Khuzestan were also flooded. At least 18 villages in this region have been besieged by floods. Eight villages have been completely evacuated. Farms and fields have been covered in water. Crops have been destroyed. In the flood-stricken regions in Khoram Abad, many homes have been filled with water. In Khuzestan, Ilam, Lorestan and Chaharmahal and Bakhtiari Province, the floods have broken several bridges and blocked roads. The threat of the repetition of the 2016 floods that caused severe damages to the are loom darkly. There are also reports of flooding in areas around the city of Khorramabad in Lorestan province, where around 1,400 were affected. Flooding has also impacted the provinces of Ilam and Kermanshah, damaging infrastructure, shutting down the schools in Ilam, and blocking communication routes in Kermanshah. Outrageously, while in some regions of Iran, the people are being hit with floods, in others, people are suffering from shortage of potable and irrigation water. In Isfahan, farmers are regularly pouring into the streets to protest against government corruption and mismanagement and to reclaim their natural right to access the province’s water sources. Meanwhile, in Khuzestan, the people of flooded areas are protesting against the lack of public services and poor infrastructures to protect them against natural disasters.